We are pleased to announce that SBS will be making a triumphant return to our HQ for this year’s annual dinner. 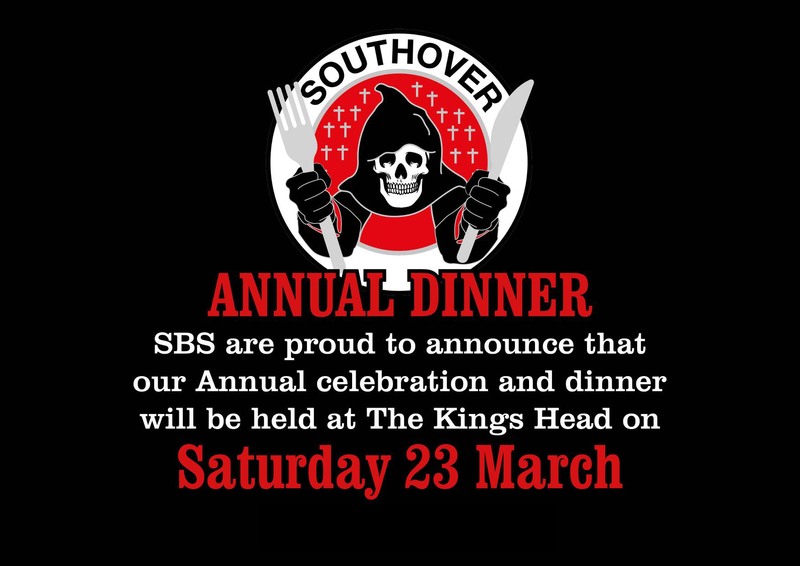 The Kings Head will be hosting SBS on March 23 for an evening of food, drink and music. You can opt to come for the full package or perhaps just join us for a drink and some fun, but please note that if you’d like to eat then you must book tickets in advance. Tickets are available now via the Events page, or for full information including menus and times please go to our Universe ticketing page.